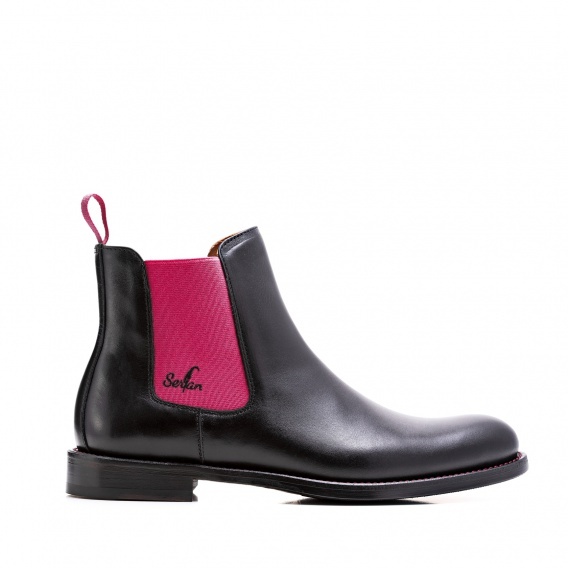 This black Chelsea Boot for women has an expressive look due to the pink coloured elastic bands. 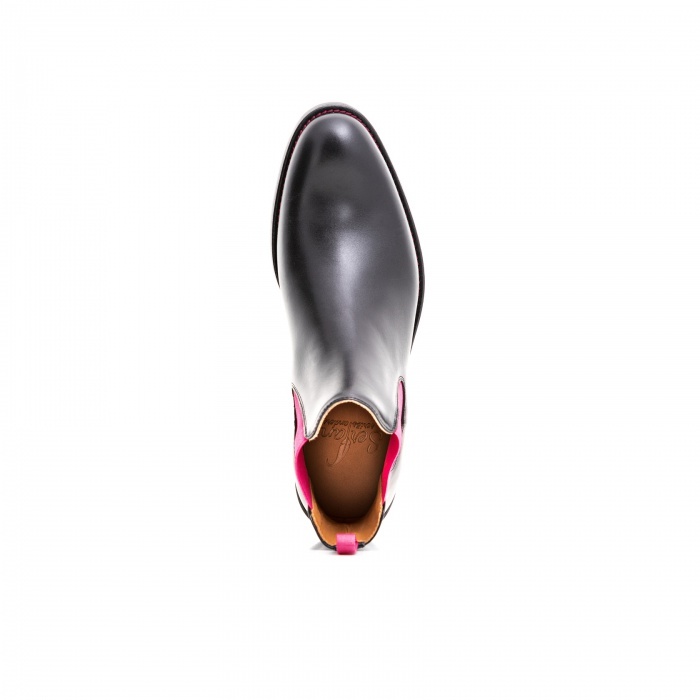 Elsa Schiaparelli, an Italian fashion designer, introduced pink as a new colour to the market in 1931. 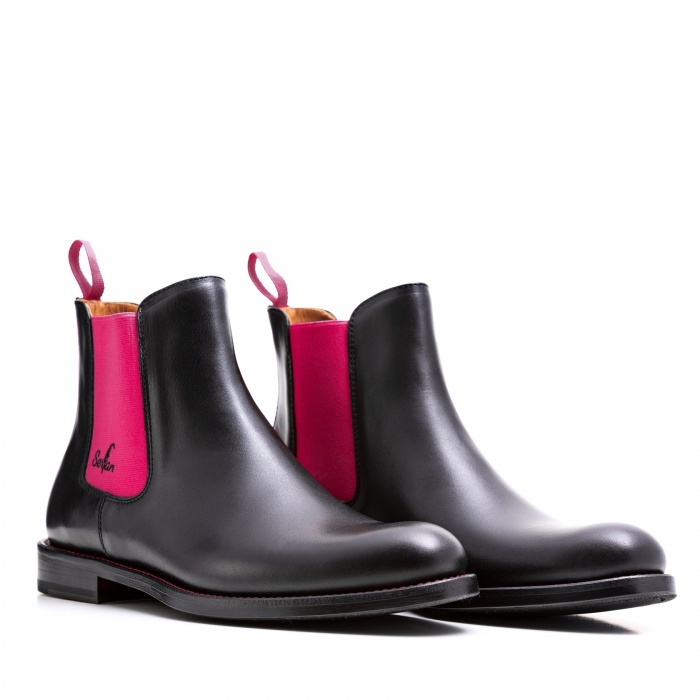 Since then pink is standing for presence and vitality and you can find it anywhere within the fashion industry. This color combination guarantees you a self-confident appearance. 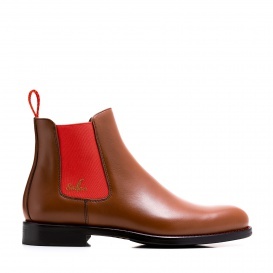 The elastic bands on both sides of the shoe, which are characteristically for the Chelsea Boot, provide a perfect fit as well as a high comfort, even after an extensive wearing time. 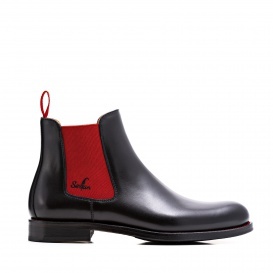 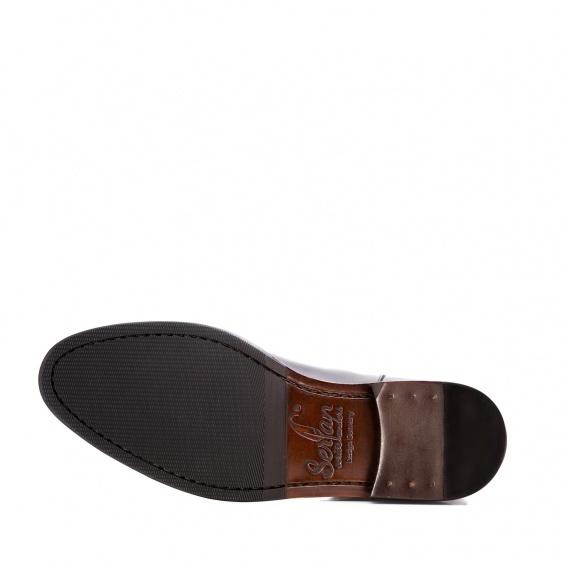 Combine this boot with black slim fit pants to give your business outfit an extravagant and charming look.